"The courtroom had fallen quiet, the judge's words lost behind a low hum that droned in Max Rupert's ears. Max reached for his water glass, a waxy paper cup on the rail of the witness stand. It lifted empty and light. He didn't remember drinking the last of his water. He paused, the empty cup halfway to his lips, unsure what to do next. Pretend to take a drink? Put the cup back down on the rail? What do you think? Keep reading or probably pass? Feel free to join in by posting a link to you First Paragraph Intro below. I've been on a Richard Russo kick over the summer beginning with Nobody's Fool, then Everybody's Fool, and now Bridge of Sighs (my favorite). No one captures small town life quite like Russo. In Bridge of Sighs we get a feel for life in the fictional town of Thomaston, NY, a factory town somewhere in upstate New York. It's a town where for many years the local tannery routinely dumped chemicals into the nearby stream. Now the townspeople are seeing the effects of these chemicals with and increase of cancer cases and deaths. The story is told from the perspective of Lou C. (Lucy) Lynch, a man now in his 60's as he chronicles the life of his family, beginning with his father Big Lou, a milkman turned store owner of the local Ikey Lubins, which now Lou C and his wife Sarah have expended to several stores. We also get to know the Berg and Marconi families and how their lives connected with the Lynch family. The story spans a period of some 50 years and is over 600 pages. It's a family saga that is well written with wonderful and memorable characters. The story has plenty of plot points, both beautiful moments and sometimes disturbing ones. There's racism, discrimination, domestic and emotional abuse and adultery. The issues felt real and characters felt very human. Despite a few uncomfortable issues touched upon, Bridge of Sighs had an overall uplifting feel about it. It left me with a good feeling. Be sure to try this one if you haven't already read it. 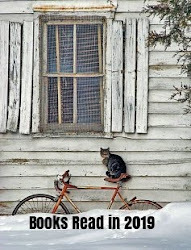 I have (3) more unread Russo novels on my shelves but, those will have to wait until 2017. August is now a woman in her 30's recalling an earlier time (1973) when she moved with her father and younger brother to Brooklyn from Tennessee, leaving her mother behind for reasons she did not understand at the time. As August and her brother now prepare to bury their father, 20 plus years later we learn what life was like for her and her close friends growing up in a less than ideal part of Brooklyn in the 1970s. As she reflects back on her past we see how a difficult move was made more tolerable once she makes new friends (Angela, Gigi and Sylvia). Sadly, the girls see and experience things that most parents try shelter their daughters from for as long as possible as they navigate from adolescence to young adulthood. As the story moves back and forth in time, theres's a dreamlike feel that was hard to shake. The author does a wonderful job capturing both childhood innocence as well as the harsh realities and dangers faced by young girls in this particular part of Brooklyn in the 1970s. For such a short novel (novella) serious issues such as -- race, poverty, addiction and mental illness surface. The audio book was read by Robin Miles who did an excellent job. OMG what a disturbing and twisted story. It took me well over a week to read this book and it's just over 200 pages. The story takes place on a small remote island off the coast of Scotland and it's told from the POV of a 16 year old psychopath named Frank Cauldhame. Frank had murdered 3 people by the age of 9 -- his younger brother and 2 young cousins and, he gets away with it as well. Frank's father Angus is a brilliant oddball but, at least initially, he seems harmless. He home schools Frank. There is also older brother Eric who was locked up in an insane asylum but, as the story opens he had just escaped. It's a mystery as to why Eric had been confined there. The Wasp Factory is definitely a disturbing, and yet at times, comical story. There are some pretty gruesome scenes played out which included the torture of animals (sniff). Frank, despite the fact he killed 3 children, at times seemed like the most normal character once everything is finally revealed in the end. At times I felt like this might be a DNF for me but, in the end I was glad I saw how this bizarre story played out. 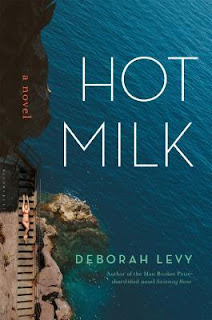 Hot Milk was an interesting novel and character study. It's a story that examines the co-dependent, mother/daughter relationship. As the story opens twenty-five year old Sofia has abandoned pursuing her Phd in Anthropology and her coffee house job to travel to Amelia Spain with her mother Rose in the hopes that the Gomez Clinic there may be able to help her ailing mother. Rose is an unlikable woman with an array of aches, pains and other ailments, her latest being numbness in her feet making it difficult to walk. 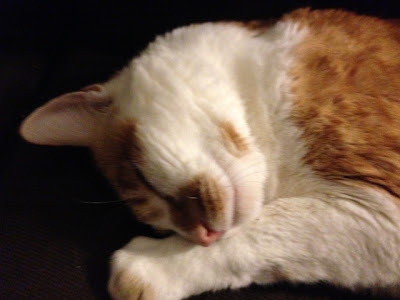 Rose is on a variety of meds, which she may or may not need. Sofia's father abandoned her and her mother years earlier and, Sofia hasn't seen he father who lives in Greece since she was eleven. He now has a new younger wife and baby. Are Roses ailments real or just a way to guilt her daughter into staying close by her side? 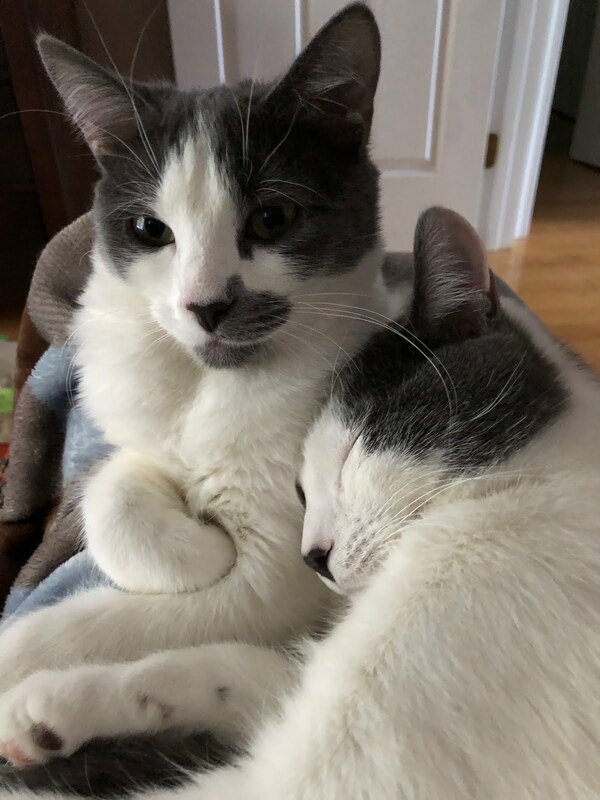 While Rose seeks treatment with the cat loving, Dr. Gomez, Sofia occupies her time with two different romantic relationships and a trip to see her self-entered, father and his new family. Sofia is a passionate and entertaining narrator. While others see her dark features as alluring and sensual, she sees herself as monster-like. I found the plot simple but, the writing intelligent and story memorable. There are several funny scenes throughout including one where Gomez tests Rose to determine whether her numbness in her feet is real or imagined, I loved it. There's almost a dreamlike quality to the writing that hooked me early on. The story examines: dependent relationships, abandonment issues and takes a look at quack-like doctors, hypochondria and big-Pharma. A surprising treat for me and a relatively short novel as well. I can see why this one made the Man Booker list. "The christening party took a turn when Albert Cousins arrived with gin. Fix was smiling when he opened the door and kept smiling as he struggled to make the connection: it was Albert Cousins from the district attorney's office standing on the cement slab of his front porch. He'd opened the door twenty times in the last half hour--to neighbors and friends and people from church and Beverly's sister and all his brothers and their parents and practically an entire precinct worth of cops--but Cousins was the only surprise. Fix had asked his wife two weeks ago why she thought they had to invite every single person they knew in the world to a christening party and she'd asked him if he wanted to look over the guest list and tell her who to cut. He hadn't looked at the list, but if she were standing at the door now he would have pointed straight ahead and said, Him. Not that he disliked Albert Cousins, he didn't know him other than to put his name together with his face, but not knowing him was the reason not to invite him. Fix had thought that maybe Cousins had come to his house to talk to him about a case: nothing like that ever happened before but what else was the explanation? Guests were milling around in the front yard, and whether they were coming late or leaving early or just taking refuge outside because the house was packed beyond what any fire marshall would allow, Fix couldn't say. What he was sure of was that Cousins was the uninvited, alone with a bottle in a bag." Consider me a new RBG groupie and, if I were the type to get a tattoo, it would be one of Ruth Bader Ginsburg. My appreciation for this woman was never fully realized until first listening to this book and then rushing out to buy the hardcover which has lots of photos and illustrations, a virtual scrapbook of her life. Notorious RBG chronicles the personal and professional life of RBG, a woman who was appointed Supreme Court judge by President Clinton. A woman who from an early age saw injustice in this world and wanted to do what she could to fix this. This book gives you a good feel for who she is and what she stands for. Her personal life and her intense love for Marty Ginsburg (deceased 2010) made me teary-eyed. This book is a beautiful tribute to a woman who for 50+ years has worked tirelessly to advance women and see ALL people as equal with equal rights. "Real change, enduring change, happens one step at a time." "When the jabot with scalloped glass beads glitters flat against the top of RBG's black robe, it's bad news for liberals. 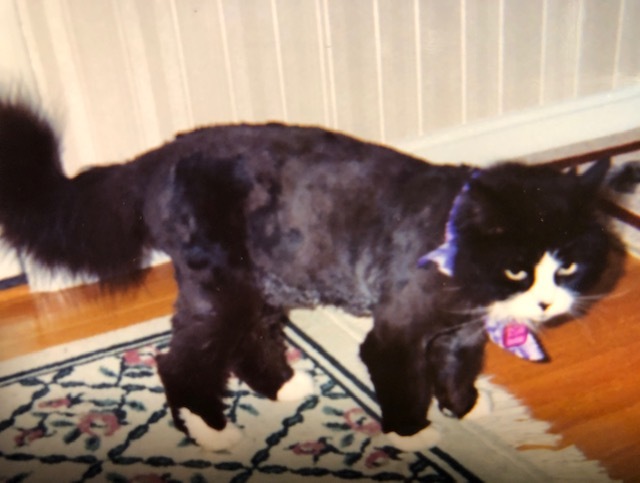 That's her dissent collar"
"When RBG was asked how she managed to have such an extraordinary marriage, she often answered by saying that Marty himself was extraordinary, and he saw the same in her." "She imagined a world where men transformed themselves alongside women and where sexual and reproductive freedom was grounded in women's equality and then she worked to make it real." And, in case you just can't get enough of RBG there is this amazing coloring book by Tom O'Leary that I feel in love with as well. 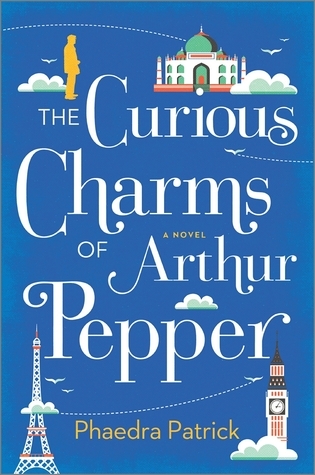 In this delightful debut novel we meet Arthur Pepper, age 69. A widower for one year, Arthur and Miriam had been married for 40 years. Arthur's children think that it is time for him to get on with the rest of his life. So on the one year anniversary of his wife's death his decides to clear away her things and , in the process he finds a "charm" bracelet that he has never seen before. He's curious to find out where it came from and why he never saw Miriam wear it. When Arthur notices that the Indian elephant charm with gemstone has a telephone number engraved, Arthur decides to find out more about the person who may have given Miriam the charm. This charm leads him to someone in India, a place he never knew his former wife had lived. What else didn't Arthur know about Miriam? The Curious Charms of Arthur Pepper is a journey of discovery and, although the individual stories behind each charm were fun to read about, the real "charm" of this novel was Arthur's self-realization as he thinks about his own legacy. I really enjoyed this sweet story with its many funny and endearing moments. In many ways remind me of the writing style of Fredrik Backman. Oh what a week, last week my still new car with less than 7,000 miles on it was parked while I was in the gym. It was minding its own business when a transport van backed into it. UPSETTING, yes, but fortunately there were witnesses and after a week in the shop, it's back home looking new again at no cost to me. We've had a lovely change in weather from hot and humid to breezy and high 70 temps with low 50's at night. I'm so happy the AC is off now and I can start thinking about different meals to prepare and apple season. Today is the official start of football season so I look forward to more free time on Sundays and Monday nights since I'm not a fan but, my husband is. 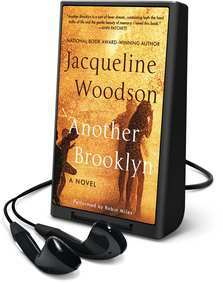 Jodi Picoult's latest novel is compulsively readable and pushed many of my hot buttons -- the topic racism and prejudice. At the center of the controversy is Ruth Jefferson, a well respected labor and deliver midwife in Connecticut. Ruth is African American and the only black employee on her floor at the hospital where she works. One day while Ruth is caring for a newborn, she gets an uncomfortable vibe from the father of the infant. The next think she learns is that she has been reassigned and that she is not to care for Turk and Britt Bauer's newborn son Davis. The Bauer's are White Supremacists and, they do no want any black employees caring for their son. When a medical emergency involving the baby occurs and the infant dies, Ruth is fired from her job and arrested. She soon finds herself in the midst of a court battle and she's been assigned a white public defender. This is such a powerful story. It's told from the POV's of Ruth, Turk Bauer, and Kennedy, Ruth's public defender. I loved Ruth's story from her humble childhood, and her reasons for becoming a nurse and learning of all of the difficulties she has experienced in her life. Turk Bauer's story was tough to read about and at times I literally felt sick. There were graphic descriptions of violence against blacks, Jews, gays and immigrants. Kennedy's story and position was one I didn't always agree with but, I understood why she acted the way she did at times. This is a story that evokes all kinds of emotions, I loved the majority of this book until a fairy-tale like ending spoiled it a bit for me. The title, Small Great Things, comes from a Martin Luther King quote -- "If I cannot do great things, I can do small things in a great way." 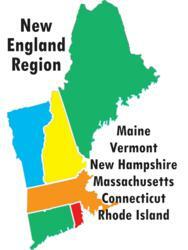 I've lived in New England, (2) different states, my entire life. I love when I read a book and the author makes reference to a town, a park, a university, etc. that Ive visited or am familiar with. So now that fall is right around the corner I wanted to share some of my favorite books that take place right here in New England. Do you have some favorite New England based books? 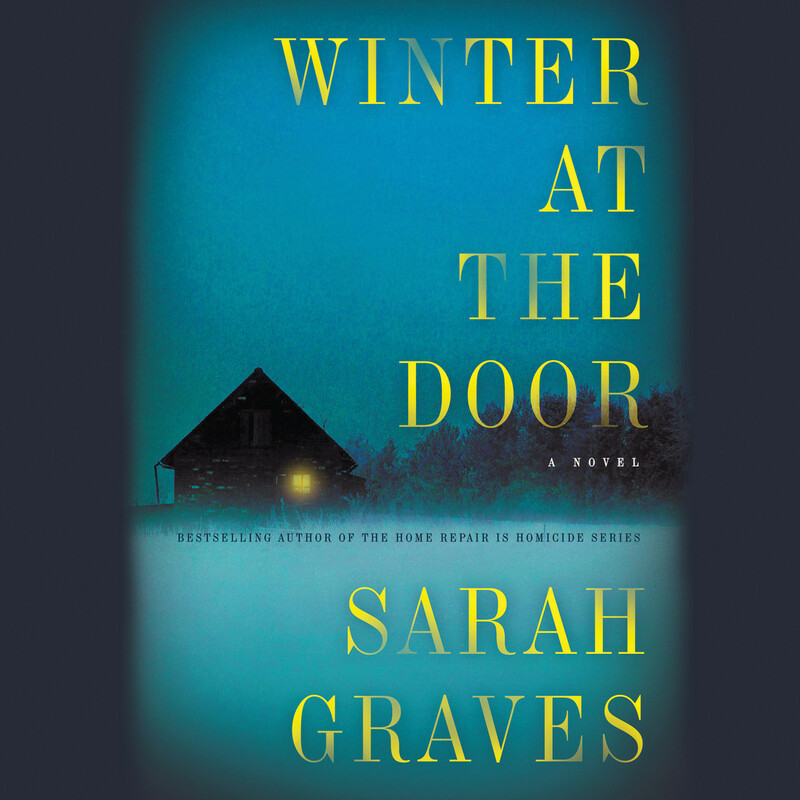 The first book of a new series, Winter at the Door, is a mystery set in rural Maine. Lizzie Snow just may have made the biggest mistake of her life. Then a former romantic interest recommends her for a new job, she decides to leave Boston for a job with the Bearkill Maine police force. Lizzie had her other reasons for wanting to relocate to Maine. She has reason to believe her young niece Nicki who was kidnapped 9 years earlier just might be in this area of Maine. Lizzie's introduction to Maine and the police force gets off to a rocky start. She is never given a clear description of her duties are except that there is a possible cop killer in the area but, the victims deaths are made to look like possible suicides. 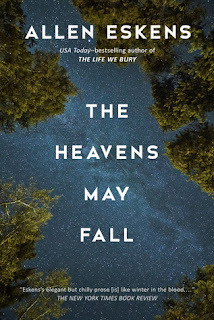 I loved the setting of this book, it felt very atmospheric, deep woods Maine in winter. In general, the story held my interest, but, I think the story and the characters could have been further developed. There seemed like an awful lot going on and, not everything seemed to relate to the central mystery. Grimstad, North Dakota is a booming oil town and because of that a town where everyone once knew their neighbors has seen an influx of newcomers, both good and bad elements. The story begins with Kyle Westergaard, a 12 year-old boy with limitations due to fetal alcohol syndrome. Kyle's mother and her current partner do not provide much more than a roof over the boys head and for extra money Kyle has a newspaper route. One day while Kyle is making his deliveries he sees an accident and finds a duffle bag on the side of the road. The bag is heavy but he manages to carry the bag home on his bike. The bag contains a large sum of money and drugs worth millions. It was great fun listening to this story unfold with many edge of your seat moments as unsavory individuals pop in and out of the story. Cassie Dewell, Chief Investigator and Sherrif John Kirkbride are quickly involved in a high stakes case between a ruthless Salvadorian MS-13s gang, a biker gang and crooked cops. 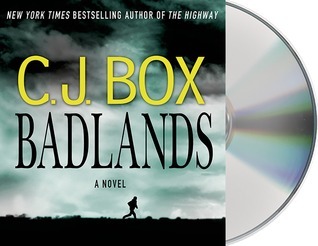 This was one of those audio book experiences that made our recent road trip great fun. January Savoy did a great job with both the female and male voices. Although it's not necessary to read book #1 of the series, Highway, first, that one was a fun listen as well even though, I enjoyed this offering more. Every Tuesday I host First Chapter First Paragraph Tuesday Intros where I share the first paragraph sometimes two, of a book that I'm reading or plan to read soon. 2015. Algeria. Southern Spain. August. "Today I dropped my laptop on the concrete floor of a bar built on the beach. It was tucked under my arm and slid out of its black rubber sheath (designed like and envelope), landing screen side down. The digital page is now shattered but at least it still works. My laptop has all my life in it and knows more about me than anyone else. So what I'm saying is that if its broken, so am I." They Left Us Everything was such an enjoyable memoir. It's the kind of story that anyone dealing with eldercare issues should be able to relate to. When Plum Johnson's 93 year old mother died, she took on the task of cleaning out the 23 room house her parents had raised the family in since 1950. Located in Toronto Canada on the shores of Lake Ontario, the location more than the house in its current state made it prime real estate property. Plum was the oldest child, in her early 60's at the time of her mothers death. She had three younger brothers. 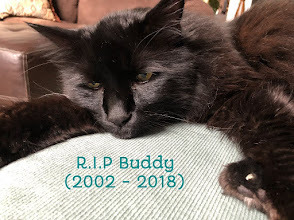 For 20 years she had been caregiver to her parents, first to her father with dementia and after his death, to her demanding mother who lived 40 minutes away. As Plum begins the task of cleaning out her parents home, each nook and cranny she shifts through, unearths memories and things about her parents she never knew. She sorts through personal letters and childhood memories which stir much emotion. I loved this story from the family dynamics to how what she thought what would be a 6 week project took her16 months to complete An intimate look at the mother/daughter relationship, a journey on life and loss, and definitely a story that will make you appreciate the time spent with family while you have the chance. R.I.P XI is a reading celebration started by Carl at Stainless Steel Droppings eleven years ago. It's a celebration that runs from September 1 through October 31st. Check out Carl's blog for detailed info but, basically just have fun reading scary stuff or watching scary films. Have fun reading (and watching). Share that fun with others. I plan to read (4) books (from my shelves - another bonus) for this challenge. I've included a brief description of each. The Wasp Factory; Ian Banks---The polarizing literary debut by Scottish author Ian Banks, The Wasp Factory is the bizarre, imaginative, disturbing, and darkly comic look into the mind of a child psychopath. 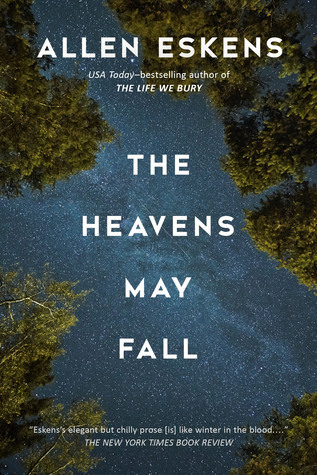 The Heavens May Fall; Allen Eskens--Detective Max Rupert and attorney Boady Sanden’s friendship is being pushed to the breaking point. Max is convinced that Jennavieve Pruitt was killed by her husband, Ben. Boady is equally convinced that Ben, his client, is innocent. As the case unfolds, the two are forced to confront their own personal demons. Pretty Girls; Karin Slaughter --Pretty Girls is a gritty, disturbing, psychological thriller. The Carroll family has never been the same since the disappearance of daughter and sister Julia from her college dorm some 24 years earlier. I haven't read this author in several years and always enjoyed her psych thrillers previously but, wow, has her writing become disturbing. It's overridden with violence and brutality against women and, was very tough to listen to. I had to fast forward over some of that violence. Definitely not recommended for the faint of heart. 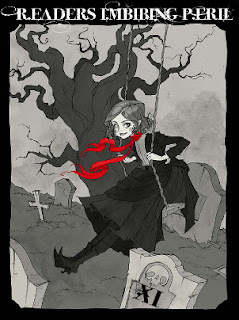 The Girls She Left Behind; Sarah Graves --A few months ago I listened to the first book of a new series by Sarah Graves. 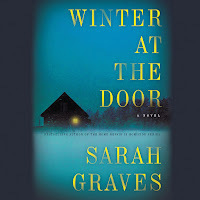 The book was Winter at the Door, with protagonist, Lizzie Snow. In that story Lizzie had just relocated to rural Bearkill, Maine to accept a job as Sheriff's Deputy. Previously, Lizzie had been a homicide detective in Boston but, relocated hoping to follow a lead concerning her missing niece Nicki. Although this story is the second book of a series, there is plenty of background information provided so that you need not feel compelled to read book one before trying this one. Overall, I enjoyed listening to this mystery. It's a bit darker than book one but, not overly so. Lizzy is a decent protagonist but she can be a bit of a flake when it comes to romantic interests. I loved the cold, dark, rural Maine setting of both of these books which makes the mystery aspects more atmospheric. Kirsten Potter is a great audio book narrator as well. How about joining this Fright Fest?